"I don't know how to decorate my home!" Don’t worry! This question happens very often because people usually conceive a scenario in their imagination, and for those who are not familiar with interior decoration, it is difficult to apply what they conceived into reality. No matter how simple or complex your needs are, MOYO has the right answer for you. On the other side, if you do not identify yourself with the generality and you like to be different; if you don't follow simple fashion, but trends that go in accordance to your own style…. MOYO helps you to turn your ideas into reality. ​It can be a simple refurbishment or a radical change, everything is possible. MOYO meets your needs, not only by adapting our represented brands but also by creating custom pieces for your space. According suggestions, ideas or needs that are required, customization comes up as one of the main points to achieve the customer's wishes and desires. We are a solution provider, we aren’t tied to any brand or volume of stock in order to persuade the client to choose particular products. The clients have the autonomy and total liberty of choice in the selection of materials and products for the space to decorate or remodel. We plan all the decoration details and not just the home furnishings. For example, if you are refurbish your entire house, we will propose which ceramics, floors and all possible details you should choose, in addition to decor. We breathe design. We focus on listening and always try to get a good interpretation of what is important to those who search us. MOYO helps customers to overcome obstacles and develops a unique, creative, functional and balanced work. MOYO can give you good ideas,helping you to decide better. 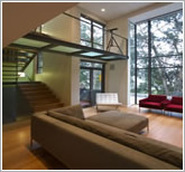 When contacting us, you will have a professional advice on interior design. Our team will go to your home with the goal of helping you to transform your space, without having to exceed your budget. Generally, small details are the ones that make the big differences in the comfort of your home. We care for the smallest detail, from the fabrics to the combination of the curtains colors, carpets and decorative objects, everything for you to have your dream decoration.